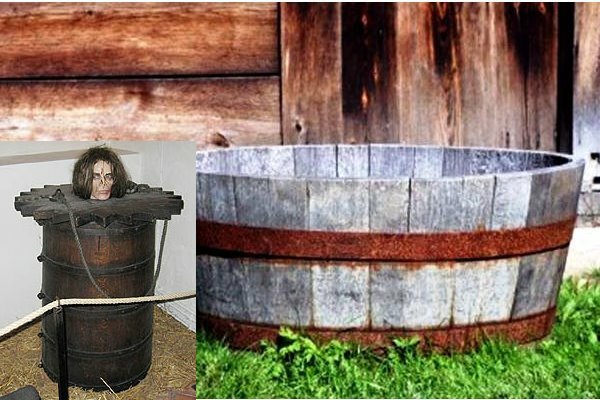 Share the post "Here Are 8 HORRIFYING Torture Devices From The Past. 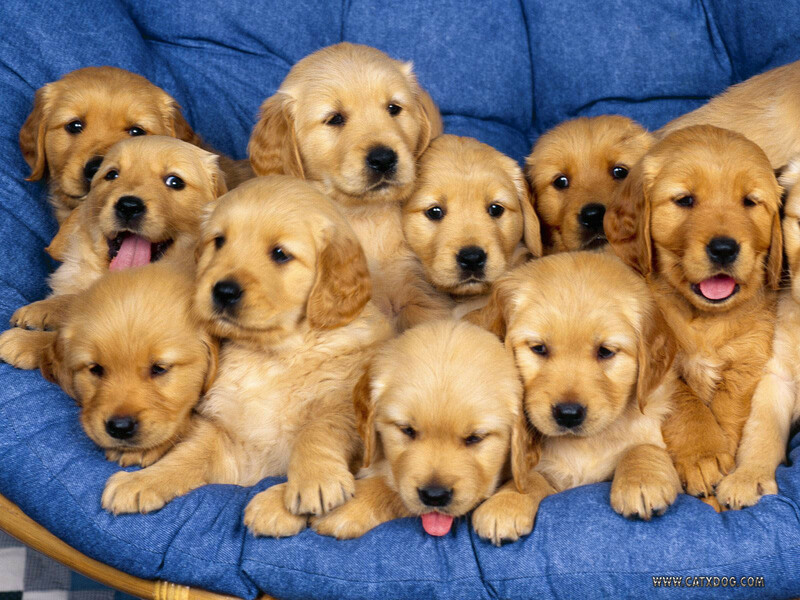 It’s Crazy To Imagine A Society Using These." Just a fair warning (AGAIN). None of these pictures are particularly graphic, but the concepts behind them can make some people uncomfortable. I just want to stress that it’s important to know that these things REALLY happened to very REAL people. Jewish people, Gypsies, Homosexuals, Disfigured/Disabled people, Blacks…all completely innocent people who had to endure this man’s horrible atrocities. This was real life for a time period, and it’s important to recognize the horrors of the past so we don’t repeat them in the future. Thank you. 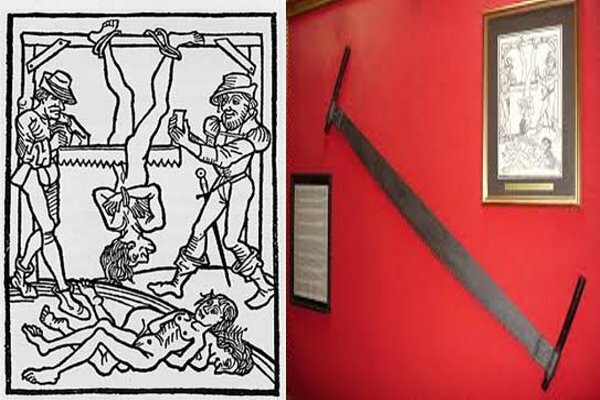 The saw torture was a big favorite during the middle ages, primarily because it was easily accessible. With just a few posts, some rope and a saw you could inflict a significant amount of pain to a person with minimal effort. It was considered a “cheap” way to kill people accused of things like witchery, adultery, or blasphemy. 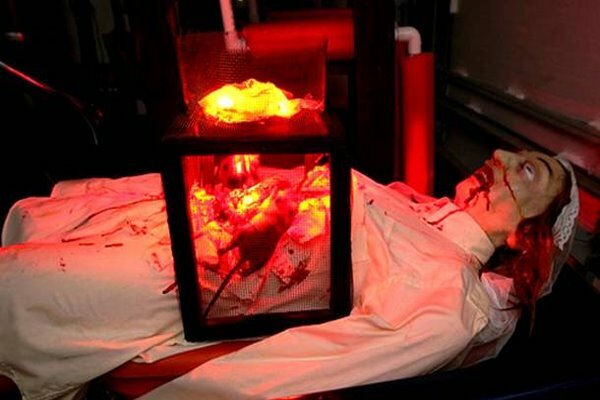 The main reason the person was tied upside-down was that it forced blood to rush to the brain, making you bleed out slower, so the torture could last longer. If done correctly, the person wouldn’t die until the saw reached all the way to the naval. 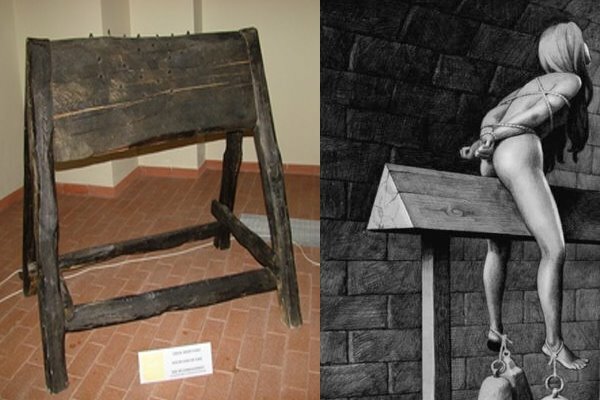 This method of pillory was used generally for drunkards to embarrass them publicly. 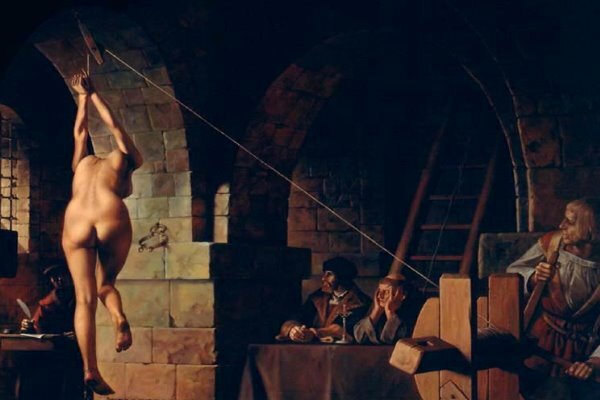 This was the medieval very timid version of a version of torture the ancient Persian (who were VERY good at torture, by the way) technique called “Scaphism.” The victim was stripped naked then fastened in a tub, or a rowing boat. The victim was then forced to eat tons of milk and honey, as well as having it rubbed all over his or her face. They would then get diarrhea from the food. In the tub, they would then be swimming in their own filth. Along with this, the milk and honey on their faces would attract flies and other insects which would slowly eat the victim alive, wallowing in their own filth. This began in the Medieval inquisition. Generally, the hands were tied behind the victim’s back, and they were then lifted by an overhanging pulley. This more than likely caused the victim’s arms to pull out of their sockets. They would sometimes jerk the ropes up and down for added pain, and weights would also be added to the ankles occasionally. A favorite of the Spanish Inquisition (BIG fans of suffering, the Spanish Inquisition), particularly for women offenders. However, this method was used as recently as EARLY COLONIAL AMERICA. The victim would ride the top of the wedge, which could also contain several spikes. Weights were generally placed on the ankles, to add to the pain. Death was rare unless spikes were added, so other tortures would continue after the wooden horse. Ever wonder why those clamps at home depot are called “THUMB screws?” Well there was a reason. 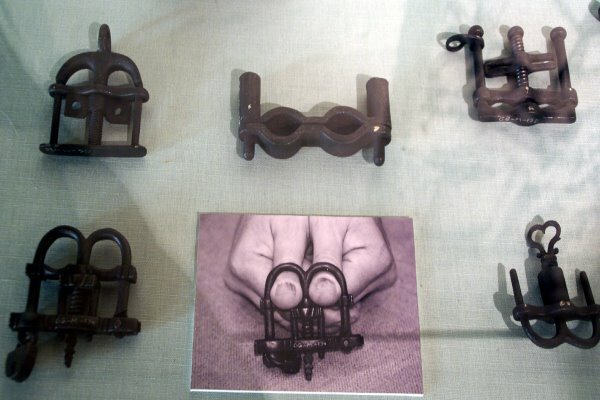 These popular devices from the Middle Ages were used by placing the victim’s thumbs and other fingers, which were then tightened, slowly crushing the victim’s fingers. This was a method of confession and could last for days. A similar version was used for the knees and head. I think a version of this was done in one of the Fast & Furious movies, if that helps make a mental picture of how horrible this torture was. This method was very popular at the Tower of London during the Elizabethan era. Several rats were placed on top of the victim’s abdomen, then a bucket was subsequently placed over the pests. A flame was then placed on top of the bucket, making it very hot. The rats’ natural instincts kick in, and they try to get as far away from the heat source as possible…by digging downward. This method has been used as recently as the 1970’s. Sigmund Freud was apparently very interested in this form of torture. Though this device is simplistic and initially appears very mild, the truth is far from such. A popular method was simply strapping the victim’s appendages to respective posts and have them hang at unusual angles. 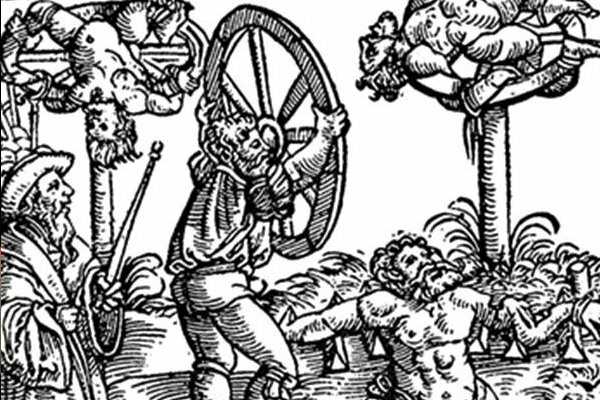 Sometimes fire was set below the wheel for added pain, or the wheel might be made to swing, putting tremendous stress on the hanging victims. This method is often likened to Jesus Christ’s crucifixion in terms of brutality. 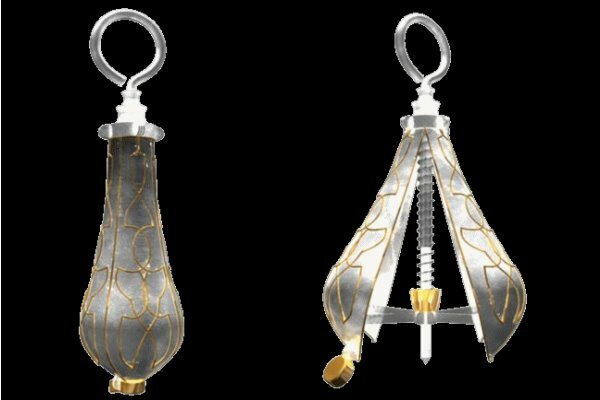 Another Middle Age favorite, the pear of anguish was generally used to punish homosexuals, adulterers, and women who had had abortions. The pear was placed either vaginally (or rectally for men) closed, and then was twisted open. As it twisted, it split into four prongs with sharp ends, which proceeded to rip the insides of the victims. The pear was also used for liars and thieves and could be placed in the jaw, subsequently resulting in breaking the victim’s jaw. « Say Hello To The 19 Most Charming Places On Earth. They’re Too Perfect To Be Real. » A Woman Unimaginably Just Gave Birth To A Baby Girl With 2 Heads. This Is Unbelievable.